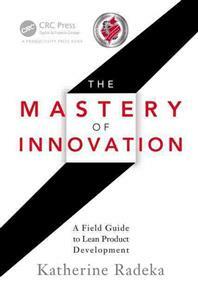 Today’s post is a little different as it’s inspired by a book, and I have to give away before we start that I like The Mastery of Innovation – a Field Guide to Lean Product Development by Katherine Radeka. This is story about how innovation can be enhanced and enabled by using Lean principles, so long as it’s done in a thoughtful way. The book is based on the author’s personal exploration of how different companies (including Novo Nordisk, Ford and Scania) have attempted to use Lean in their product development in order to speed up innovation to generate new products faster. However, one of the messages that comes out most strongly is that there is no recipe for applying Lean to innovation: each company needs to try and evolve the process over time. The majority of the book covers case studies from different companies, and it’s clear from these that they take quite different approaches and that even if there are underlying Lean principles that recur, the actions each company took were different. For me, the best insight I got from the book concerns the classic wastes from Lean production (sometimes we use the acronym TIMWOOD to help practitioners remember transport, inventory, motion, waiting, over-processing, overproduction, and defects). When, we have used these internally, we have often asked staff to try to translate these concepts into something that is relevant to them and their work. The author of this book takes a different approach and asks instead what really are the important wastes for product development, and comes with a rather different list which are more specific and include design loopbacks, reinvention and un-productive meetings. The whole book can be seen as a way to challenge us to re-think Lean for product development, rather than simply make adaptations to Lean production. And for that, I’m grateful.